Velvet texture, saturated color, the perfect addition for anywhere in the home. 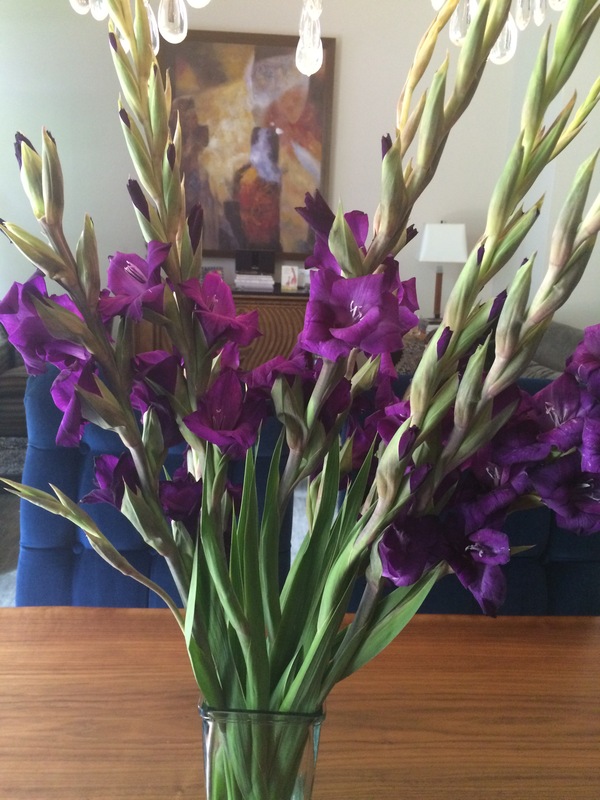 I was in the store yesterday when these gorgeous gladioli drew me to them! They are so rich in a deep dark purple color. I could not resist and they were in my cart immediately. I have to tell you, I cannot stop looking at them. Sometimes, all it takes is one impromptu thing to get your creative juices flowing. Feeling inspired, I turned to my favorite sites (Pinterest, Houzz, Tumblr) to see what else I can find in this awesome color to share. Here are some of my favorites! 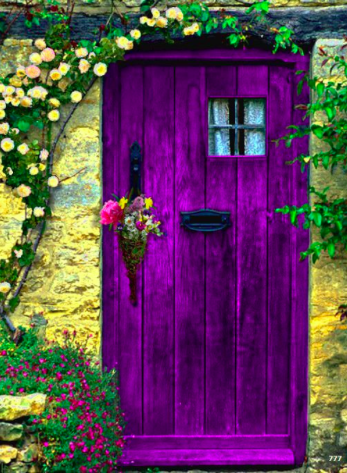 I can so see this door on a beautiful home in Europe! The flowers that surround it are absolutely lovely. I think I would just perch my chair in front and stare at my door! What a beautiful way to welcome guests. This is not particularly something I would have on my nails (I am not very adventurous), but I can so appreciate it. I think this is so beautiful. This dress is so pretty. I could see it as a Bridesmaid dress for sure. 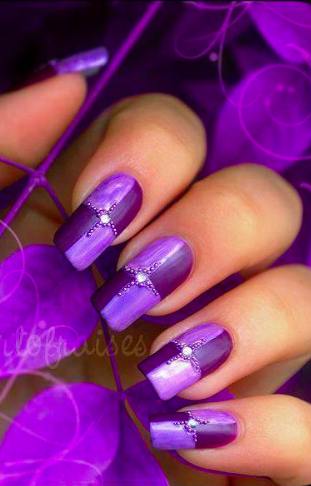 It would also look beautiful with the nails above! The color is so deep, I think it would look great with all skin tones. This eye makeup would look especially beautiful with brown eyes. No to mention, worn with the dress above! I love the white in the corners to brighten the eye. Really well done, can’t wait to try it! Luxury at its finest! Would I ever own a purple car? Not unless it was this one!!! Sitting and staring at this, I might never leave my garage! Only other thing I would need is a martini! 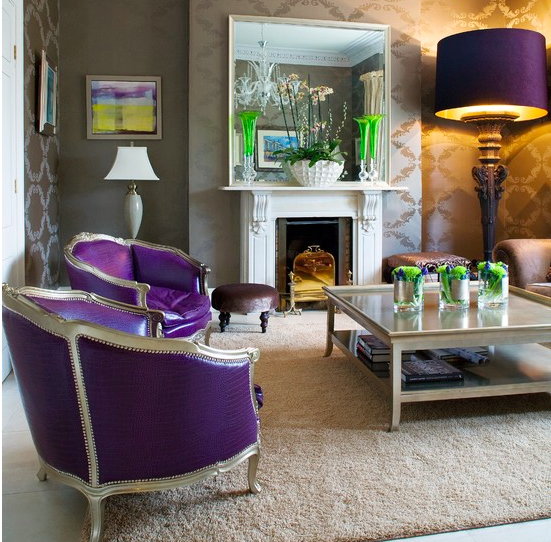 When I am not in my garage staring at my purple Ferrari GTO, I guess I could sit on these awesome purple leather chairs! How fun is the lamp too? What an eclectic mix of items. Did someone say, “purple kilt”? So for those of you who read my blog, you all know I love to end it with a man! This one does not disappoint! I just had too! Who doesn’t love a purple kilt now? I would say this is a feast for all eyes. I hope that I have brought your love for purple a little deeper. What are your thoughts, I would love to know. Purple a “nay” or “yay”? 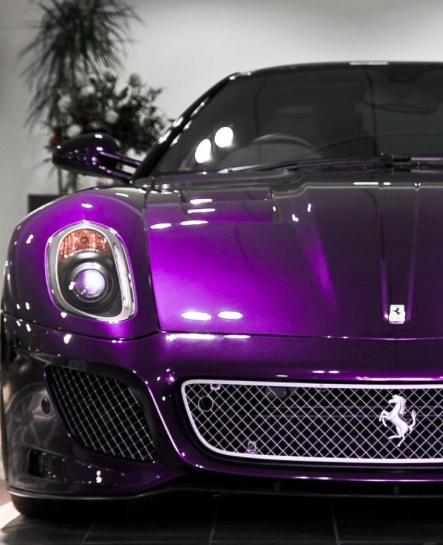 You probably can guess which purple I like: Ferrari 599 GTO. I agree with that, dear.